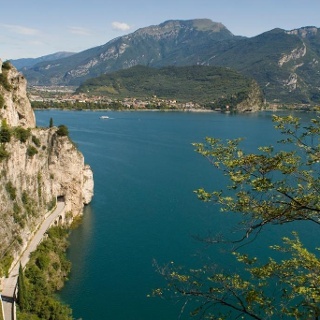 The first stage of the trek links the two main towns in Garda Trentino and takes you from Riva del Garda to Arco. 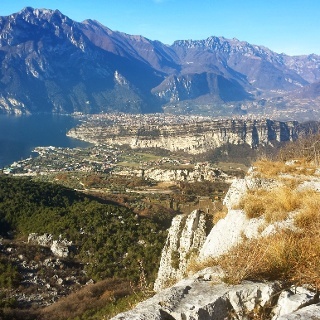 This trail takes in the entire western area of Garda Trentino and traces a semicircle across the slopes of the mountains surrounding the lower stretch of the River Sarca. Along the way you can stop off in some of the places steeped in local history which have become symbols of Garda Trentino. 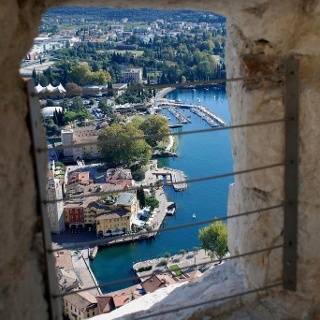 Bastione di Riva del Garda: shortly after the start of the trail you can take a short detour to Bastione, a fortress built by the Venetians to defend the harbour of Riva and an excellent viewing point over the town and the northern part of Lake Garda. The church of San Lorenzo in Tenno: this little chapel has some of the oldest frescos in the Trento region, dating back to the 12th century. The chapel is at the southern end of the fortified village of Frapporta, a group of medieval houses huddled about Tenno Castle. Arco Castle: the castle is situated atop a cliff overlooking the entire upper end of Lake Garda. Here you can visit the ruins of a number of buildings. Have you ever considered hiking in winter? GardaTrek Low Loop is the ideal route in the ideal place: not too difficult, never too cold. The first stage of the Low Loop ends at Arco. Here you can stay overnight before continuing on your way. If you choose to do so, we recommend you opt for one of our Outdoor Friendly hospitality partners who offer special facilities for sports lovers. Otherwise, you can take public transport back to the point you started from (See Getting there tab). 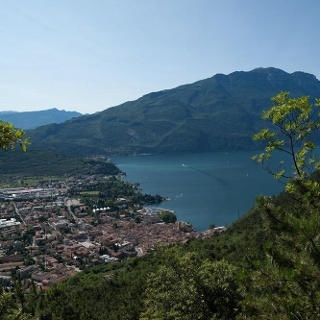 The Low Loop intersects with some of the trails in the “Hidden Treasures” series, easy hikes recommended for anyone interested in finding out more about the history, literary connections and art of Garda Trentino. For example, you can explore the terraced farmland of Tenno or dive into the past of Arco and relive the atmosphere of the Belle Epoque when the town was an internationally renowned Kurort with a sanatorium for tuberculosis patients. You can find these itineraries here. The trail leaves from Riva del Garda at the car park in Via Monte Oro and climbs on a paved road SAT 404 towards Bastione. Shortly before the fortress above Riva, turn right onto the forestry road SAT 402 until you come to the ruins of the chapel of Maria Maddalena. 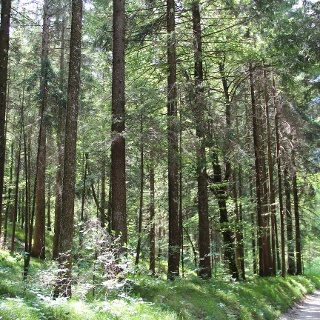 Now head across the hillside until you come down to Foci San Giacomo at the base of the gulley of the Albola stream. Now continue along the ancient Via Occidentale or Western Road with its stone walls and, towards the end, some brief stretches along the main road, until you come to Deva. Here turn right on the hairpin bend onto a dirt track which leads down to the valley of the Magnone stream where there is a fish farm. At the other end of a short tunnel below the fish farm, cross the stream and head steeply uphill to the Romanesque church of San Lorenzo. The trail continues over the brow of the hill and through the medieval village of Frapporta to Tenno Castle. Head downhill one hundred metres or so along the main road in the direction of Riva del Garda and turn onto an asphalt farm road which crosses the vineyards overlooking the Garda Trentino plain until you come to Novino. Now head uphill once more on a dirt track through the deep ravine of Valle del Tovo between the sheer rocky walls of Monte Biaina and Calino. When you come to a sharp bend to left, leave the road and turn onto a trail which takes you to the other side of the ravine. Now head downhill on SAT 409 which joins the road from Varignano to Padaro and San Giovanni. Follow this road uphill for fifty metres or so and then take the first farm road on the right which leads across the olive grove at the base of the limestone slabs of Monte Baone. 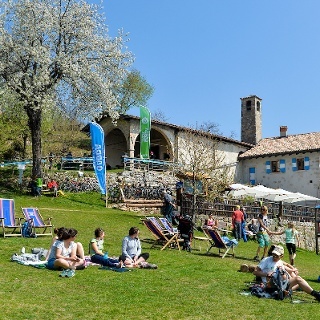 You pass along the base of the Falesia del Baone crag, the first in the world to be bolted for disabled climbers, and – passing around a particular limestone promontory – follow a path which takes you to the Laghel valley and the start of the Stations of the Cross. Rather than follow the asphalt road down towards Arco, head towards Arco Castle which now towers above you, and after a hundred metres or so, turn right onto the path to the Castle. Climb as far as the tourney grounds, Prato della Lizza, at the foot of the tower, and visit the fortress. Now return to the trail and take the paved lane on the left across the olive groves above the centre of Arco. Keep to the higher trail, avoiding the turn-offs leading down towards the town which we will reach at the eastern end at the bridge over the River Sarca. This is the end of the first stage. The entire trek is clearly marked with “GardaTrek Low Loop” signposts. The start of the trail SAT 404 is in via Monte Oro in Riva del Garda, near the covered pay parking.